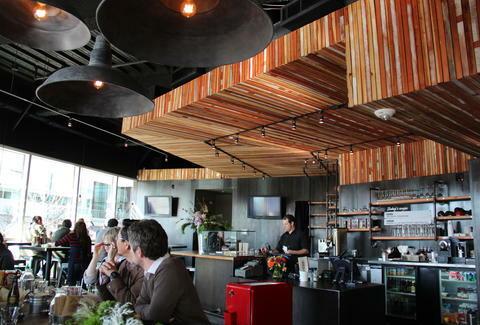 With a menu devised by the same high-profile chef who helped open Tom Colicchio's first Craft in New York, The Bureau 510 is a burger/Asian fusionery that looks like a steel mill and a woodshop had a baby using lots of hard wood (!) and... uh... iron pipes. 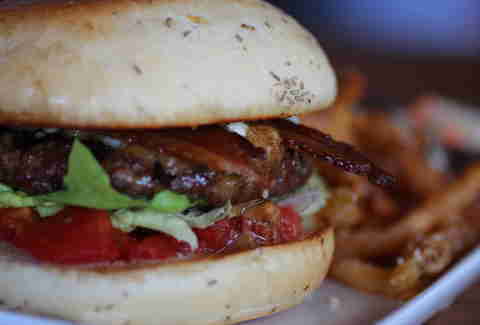 The Porky Pigtastic B-B-B Burger combines Point Reyes blue cheese, fried bacon, and caramelized onion butter for p-p-p-perfection. 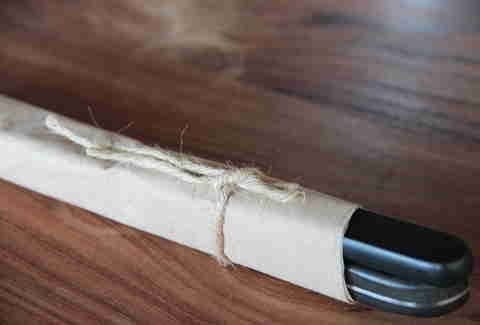 Their utensils come wrapped like this, because twine knot? 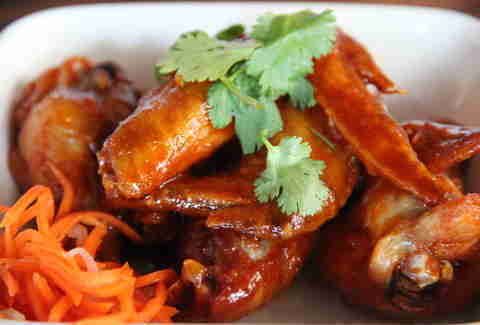 These five-piece spiced wings somehow don't involve Tony Shalhoub or Crystal Bernard, but do involve a tangy Asian BBQ sauce. 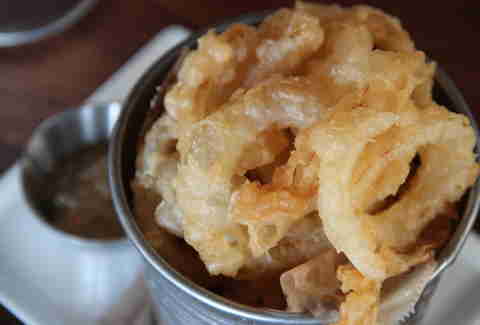 And then there's the steel cup full of IPA... battered onion rings, served with a yellow dip so good, even Papa Steel Mill would approve of it.